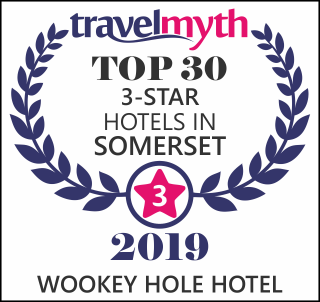 5/5 “Birthday weekend https://www.tripadvisor.co.uk/ShowUserReviews-g635922-d1973644-r651192704-Wookey_Hole_Hotel-Wookey_Hole_Somerset_England.html” “Lovely setting, quiet and staff friendly and helpful Food good value for money, Definitely would revisit, great location as went to weston super mare, also staff happy to give you extra tea coffee milk for room . Rooms clean and tidy, and will make beds and clean towels on request just leave sign on door”. “Hi just a line to say thank you all for an excellent weekend. We booked 4 of your rooms and had a lovely time. The rooms were very clean and comfortable and the breakfast was great value. A special thank you for catering for the Vegans in my family. We will be back next year.